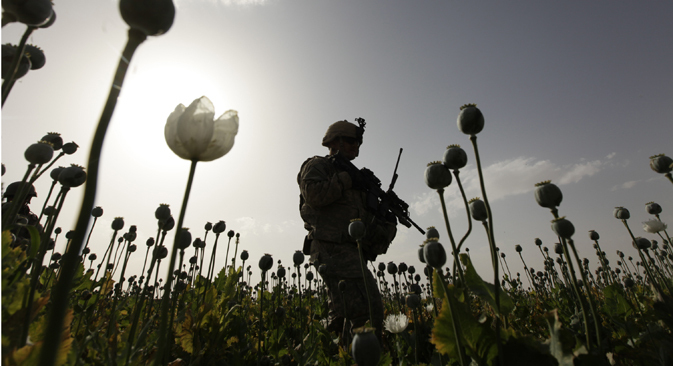 Opium cultivation is expected to rise in the country’s south and in particular in those areas where foreign troops have been withdrawn or are in the process of withdrawal. The United Nations Office on Drugs and Crime in Afghanistan and Afghanistan’s Ministry of Counter Narcotics presented a report on opium production in the country in 2013. The report indicated that opium poppy cultivation in the country has been on the rise for the third consecutive year, and may reach record levels. No exact numbers are given, but in acreage terms the figures for 2013 are likely to exceed those for 2012. Opium cultivation is expected to rise in the country’s south, in the provinces of Kandahar and Uruzgan, and in particular in those areas where foreign troops have been withdrawn or are in the process of withdrawal. In addition, cultivation is also expected to increase in the provinces of Ghor, Zabul and Kapisa. The situation in the country’s north also leaves a great deal to be desired. The Balkh and Takhar provinces may lose their “opium poppy cultivation-free” status. High levels of opium cultivation are also expected in the Badakhshan province. The high price of narcotics remains one of the biggest motivations for farmers to grow poppies, although narcotics production has been declining for three years in a row. One in ten of these “drug farmers” says his criminal activity is due to the absence of government help. The very low level of security is another factor. The report’s main conclusions are both predictable and, unfortunately, deplorable. The total number of provinces producing drugs will rise to 20. The situation (in drug production) in Afghanistan is likely to continue to deteriorate. At the same time, this document does not contain any sensational negative predictions. The report’s main purpose is to highlight the priorities of the fight against drug trafficking and prevent a gloomy scenario becoming reality. Moscow is deeply concerned over the broader situation in Afghanistan. Drugs and threats from this country have an impact on our Central Asian neighbours, and through them reach the Russian Federation. It is important to take effective steps to physically destroy drug crops and laboratories, to stop the supply of precursors to Afghanistan, and to include drug lords on the UN Security Council sanctions list. Given this context, implementing the Moscow-Paris Pact’s decisions seems to be more important than ever before – since the Pact has become one of the most efficient international instruments for countering the drug threat emanating from Afghanistan soil.